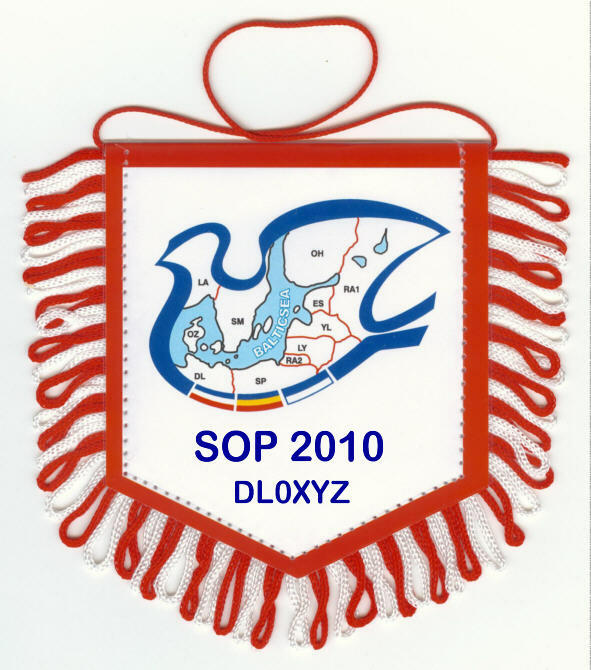 This certificate in form of a silk pennon will be awarded for QSOs with the Baltic neighbouring states and regions in July. 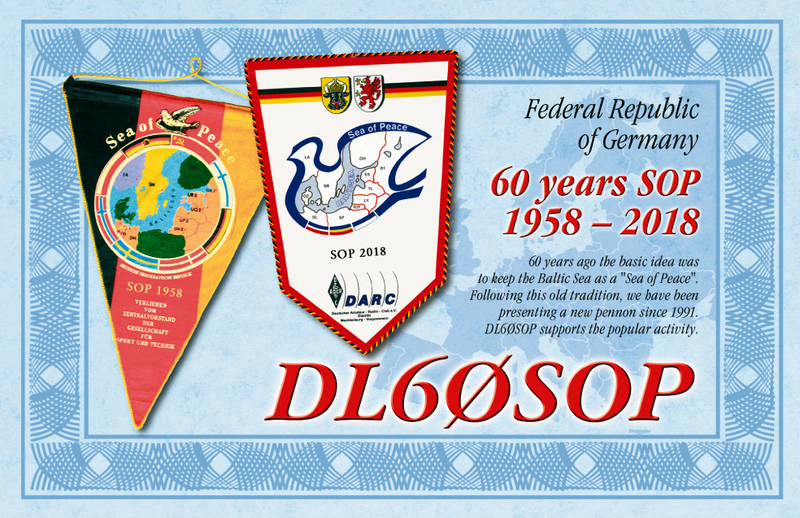 Annual stickers can be acquired for repeated fulfilment of the rules during the subsequent years. 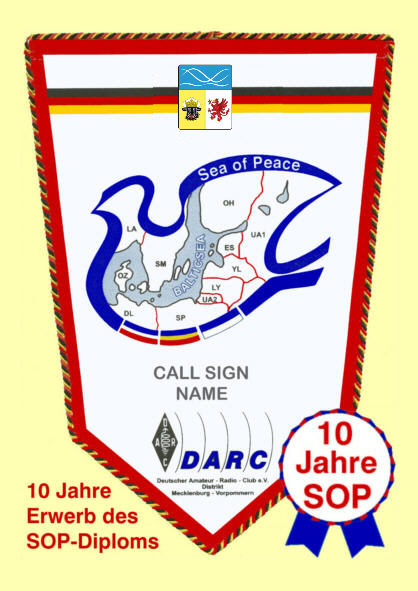 Beyond coming SOP-owners will receive special recognitions after 5-and 10-times achievements of the pennon and stickers. 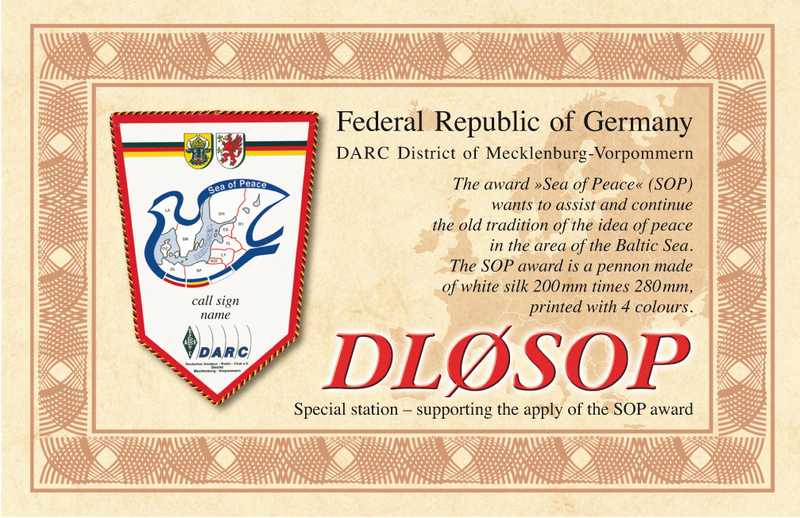 This popular certificate was awarded by the amateur radio organisation of the former GDR in 1958. 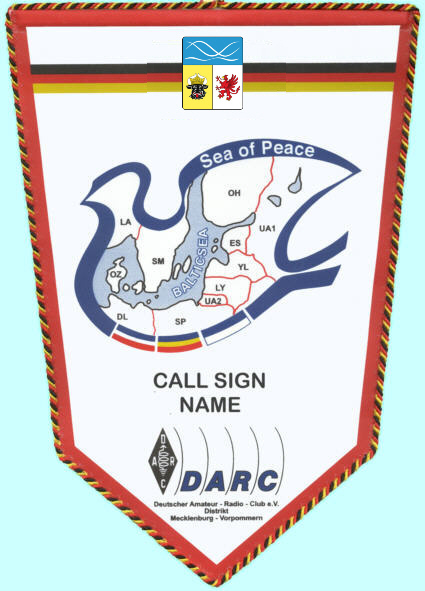 And has been continuing by the DARC district Mecklenburg-West Pomerania since 1991.
special call signs and a jubilee pennon.